To explain further about Srila Vyasadeva, he is not the same person in each incarnation but is usually an empowered individual jiva soul that appears as Vyasadeva to do the service for humanity. Jiva Gosvami quotes the Vishnu Purana (3.4.2-5) in his Tattva-sandarbha (16.2) that a different empowered jiva soul takes the position of Vyasadeva in each incarnation as a shaktyavesha-avatara. This takes place just as each Kali-yuga begins so that He can divide and categorize the Vedic knowledge for the benefit of the masses. Therefore, Vyasadeva is often a position rather than the special name of the person. So Vyasadeva started doing this many thousands of years ago. However, in this particular divya-yuga in which we are in, or cycle of the four ages, Lord Narayana Himself appears as Srila Krishna-Dvaipayana Vyasa to divide the Vedic literature into various branches, which means that in this particular incarnation He is not simply an empowered living entity. These verses clearly explain how Srila Vyasadeva is none other than the incarnation of the Supreme Being, Vishnu, Narayana, who appeared in this world to compile and divide the Vedas so that people of all levels of intelligence can understand them. It is explained that no ordinary person can do such a thing. How can people who are limited and finite understand the Unlimited and Infinite unless that Supreme Being descends to explain this knowledge Himself? Furthermore, the Vedic knowledge had been an oral tradition throughout the ages. However, in this age of Kali, people can hardly remember what they did a week ago, or sometimes even yesterday. So how would they be able to remember, analyze, comprehend, or follow the Vedic instructions if they were not in a written form? Therefore, Vyasadeva appeared as the person qualified to compile it and form its many branches. Thus, Vyasadeva composed the more important Vedic texts, culminating in his own commentary of the Vedic writing in the form of the Srimad-Bhagavatam. In this way, the one Veda became the four main samhitas, namely the Rig, Yajur, Sama, and Atharva Vedas. Then came the Brahmana texts, the Vedanta Sutras, the Mahabharata, and then the Puranas, of which Vyasadeva considered the Bhagavata Purana (Bhagavatam) the most important and complete. In this way, as stated in the above mentioned verses, the essence of the Absolute Reality is to be found in the Vedic literature, especially within the Srimad-Bhagavatam. Why the emphasis on the Srimad-Bhagavatam is that even though Srila Vyasadeva was the original author of the major Vedic texts, He was still not satisfied after writing them. There was a reason for this. In all the literature compiled by Vyasadeva, there are many descriptions of the temporary universe, prayers to the demigods, the process for attaining one’s material necessities, information about the Brahman, the soul, the Supersoul, and the process of yoga for attaining spiritual realizations. There is also information about the Supreme Lord, Bhagavan Krishna. But the detailed descriptions of God, His form, His incarnations, names, activities, potencies and energies, and how He is the source of everything, including the ever-increasing spiritual bliss for which we are always looking, had not yet been fully described. Even though Vyasadeva had worked for the welfare of all by writing the Vedic literature, before he wrote Srimad-Bhagavatam he had still felt dissatisfied because of this incompletion. This is a great lesson. Naturally, we all desire freedom from the problems that material life causes us, but only by engaging in direct spiritual activities does the spiritual living entity, the soul, within these temporary material bodies begin to feel any real relief or happiness. How to do this by engaging in service or bhakti-yoga to the Supreme Being is what the Vedas are ultimately meant to establish. Because this had not yet been prominently presented in the literature Vyasadeva had written, he was still feeling dissatisfied. Now he was trying to understand the cause of his discontentment. Vyasadeva took the role of accepting a spiritual master to resolve this issue. After explaining this perplexing situation to his spiritual master, Narada Muni, he was advised to write the Srimad-Bhagavatam, also called the Bhagavata Purana. After doing so, Vyasadeva considered it his own commentary on the Vedanta-sutras and the complete explanation and conclusion of all Vedic philosophy. This is why Sri Caitanya never cared for writing a commentary on the Vedanta-sutras, because He considered Srimad-Bhagavatam to be the topmost commentary which had already been written. This Srimad-Bhagavatam is part of the Vedic literature called the Itihasas, or the universal histories. The Bhagavatam, being Sri Vyasadeva’s own commentary on all the Vedanta philosophy, brings to light all the different aspects of the Absolute Truth, especially the personal characteristics of Bhagavan Sri Krishna as the final conclusion of all Vedic understanding. This is why those who are impersonalists or monists, believing God has no form and, therefore, performs no activities, never reach the Bhagavatam in their Vedic studies. But if they do read the Bhagavatam, they are likely to interpret it in an impersonalistic way and, thus, deprive themselves of the truth and purity which they could derive from it. From this verse it is made clear that Srimad-Bhagavatam is meant for the benefit of everyone, regardless of their background, who is sincerely interested in the highest truth. Furthermore, it is compiled by Srila Vyasadeva who was an incarnation of God who appeared in this world in order to give people this knowledge for the highest good. After all, who can explain the characteristics of the Supreme better than the Supreme Himself? This is also confirmed in Bhagavad-gita (15.5) in which Krishna explains that He is seated in everyone’s heart and from Him come remembrance, knowledge, and forgetfulness. He is the knower and compiler of the Vedas, by which He is to be known. 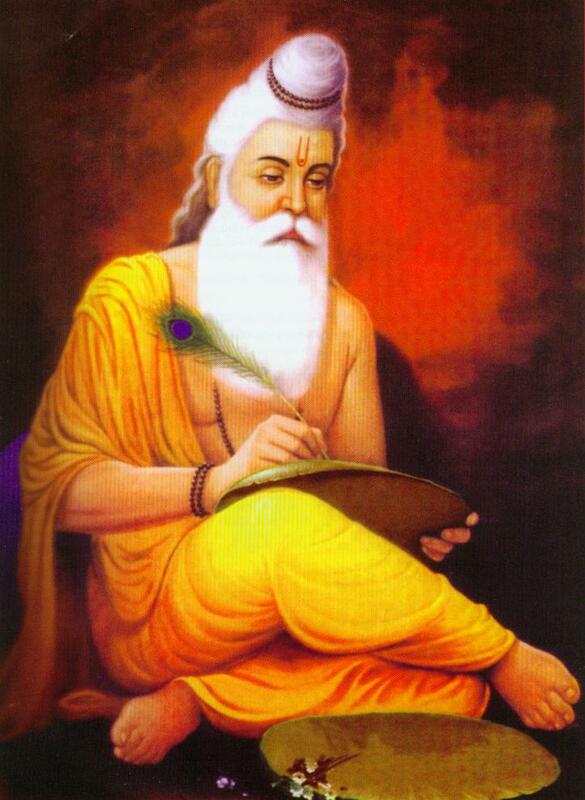 Therefore, although the spiritual truths are presented in different degrees, Vyasa finally compiled and wrote the Srimad-Bhagavatam in order to explain the highest levels of the Absolute Truth. More information on how the Vedic literature was formed into its branches is found in the article, The Traditional Source of Vedic Literature.